Raw cocoa: a delicacy with a thousand and one virtues. Raw cocoa is a super food: rich in vitamins and minerals. Thanks to its antioxidant power, cocoa brings a great number of beneficial effects on our body and more particularly on the cardiovascular system. For those who would like to add the aesthetic aspect to that of health, the consumption of raw cocoa would have a proven anti-aging effect. Antioxidants protect cells from premature oxidation. For the highly stressed, cocoa is also an ally. The consumption of raw cocoa boosts the production of well-being hormones such as serotonin. 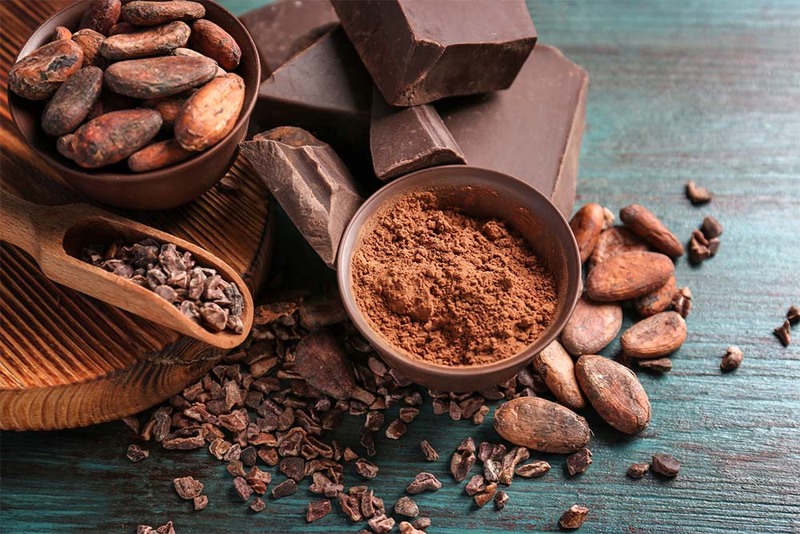 Cocoa is also ideal for those who lack magnesium and is one of the most rich in magnesium. Cocoa can then bring a little “peps” to our body tired between two seasons. This nugget, however, must be consumed in moderation, especially for those who have a nervous ground. In periods of detox, it is also not advisable to eat it because it prevents the liver from doing its work of detoxification. The main thing is to have fun: Enjoy!